Home News Hoboken News Can I see your I.D.? Over the last four years, the Hudson County Coalition for a Drug-Free Community (HCCDFC) has chosen a day, geared around a popular holiday or time of celebration/parties, to conduct a study on liquor store vendors to investigate if they are properly checking age identification on their young clientele. The HCCDFC carried out these assessments in the past by sending a person of legal age, just over 21, dressed in a college sweatshirt to visit the stores in the West Hudson area (East Newark, Kearny, and Harrison) to purchase alcohol. This year the HCCDFC expanded their scope and visited establishments in Hoboken on March 13. The reason for selecting this date was due to the fact that for some, the few days before Saint Patrick’s Day is spent by many stocking up on alcohol in preparation for the holiday. The HCCDFC first began this initiative in 2013. At that time there was a 73 percent rate of noncompliance among the randomly selected stores within the West Hudson area. In 2014, 63 percent of stores in this zone failed to check for identification from the legal buyer; a small improvement. Upon completion of these ID checks, HCCDFC staff visited the stores to provide them with educational materials on how to properly check for ID, methods to prevent underage drinking, etc. Additionally, the coalition took the opportunity to offer vendors in these communities a chance to participate in a free training on the Techniques of Alcohol Management (TAMs). When this assessment was completed in 2015, only 21 percent of vendors failed to properly request ID (3 out of 14 stores). The numbers of store personnel asking for identification improved to 79 percent compared to the 23 percent since the first assessment conducted in 2013. 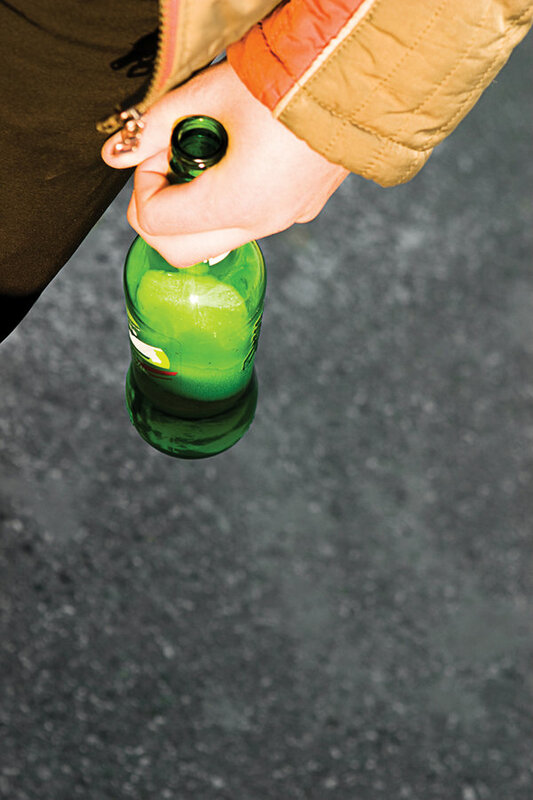 The 2015 West Hudson ID highlighted that an informed, concerned and responsible community can be an effective tool in contributing to reducing alcohol sales to minors. This serves as evidence that providing information, support, and changing consequences can be an effective tool in curbing illegal sales. Being that these West Hudson ID Checks were so successful over the three years, the coalition thought it was the perfect time to focus on another area of the county. On March 13, coalition staff and their “legal” volunteer visited eight stores within Hoboken. Of these stores, 37.5 percent of vendors failed to properly request ID (three out of 8 stores). The HCCDFC plans to take the same approach as in the West Hudson area to lower the rate and curb illegal sales. HCCDFC has prioritized underage drinking as a primary public health concern with a high correlation rate of injury and social consequences, such as violence, driving while intoxicated, alcohol poisoning and high-risk behavior. In order to protect our youth, access to alcohol has to be closely monitored as required by state law. The HCCDFC hopes this informal assessment continues to promote the need to implement store policies in which proof of age is mandatory for any individual purchasing alcohol that appears to be under the age of 30, prior to completing the transaction. To reinforce these policies, the Hudson County Coalition along with local law enforcement throughout the county, continue to offer free Techniques of Alcohol Management (TAMs) trainings to liquor store owners and employees. The Techniques of Alcohol Management training is nationally recognized as the leading program for responsible serving. The training provides risk management tools that should be used by all alcohol vendors to control the day-to-day operations of their business. The HCCDFC will conduct more identification checks throughout Hudson County and hopes that by bringing awareness, the numbers of vendors following proper protocol will increase and, in turn, generate communities where it is nearly impossible for youth under 21 to obtain alcohol from retail establishments.